Perform MS analysis directly on the sample. Suitable for thermally labile compounds, no direct heat applied. Highly resistant to MS contamination, even with complex matrices. Rapid and Easy Drug Detection in Forensic Samples. Place a piece of each organ on a biological sample plate and add 50 % ethanol (35 μL). 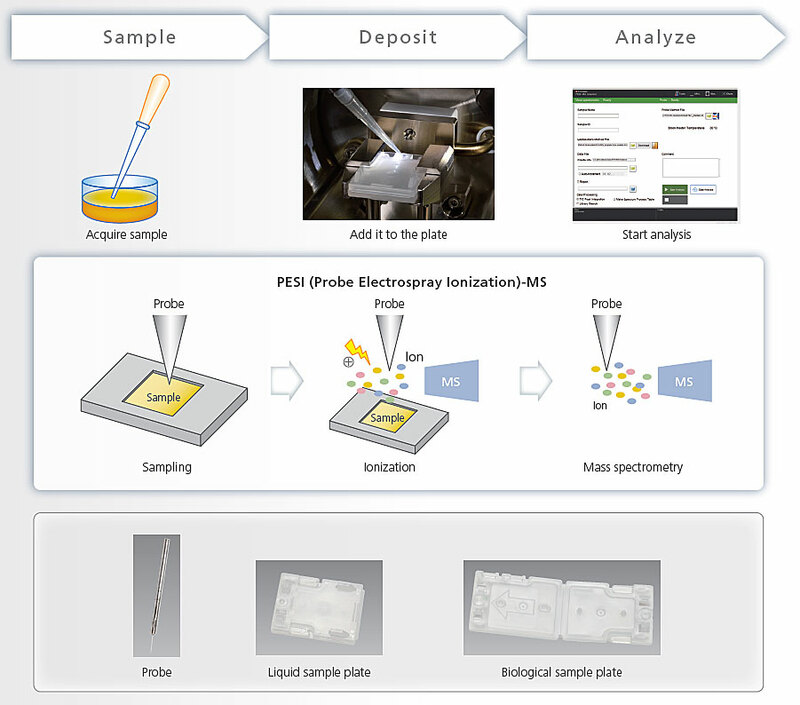 Detection is possible by on-plate MRM / Product Ion Scan analysis. This data was obtained from joint research with Mr. Kiyotaka Usui from Tohoku University Graduate School of Medicine. The PESI unit can be removed easily. The ability to exchange it with an LC unit means measurements can be performed using the same theory of ionization and standard substance, which allows comparing data. The PESI unit was used for quantitative analysis of a forensic sample from a person that took the drug MT-45. As a result, we were able to obtain measurement data consistent with LCMS results in an extremely short time. 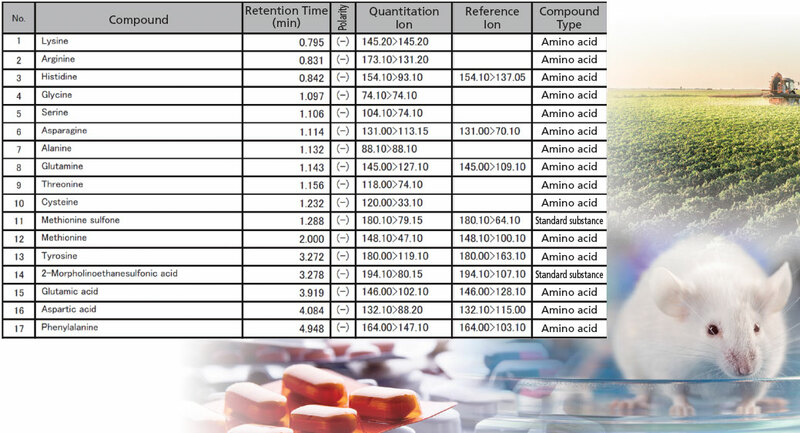 In this example, transition information for metabolites (26 components) such as amino acids, organic acids, and sugars were used for metabolomic analysis of mouse livers. 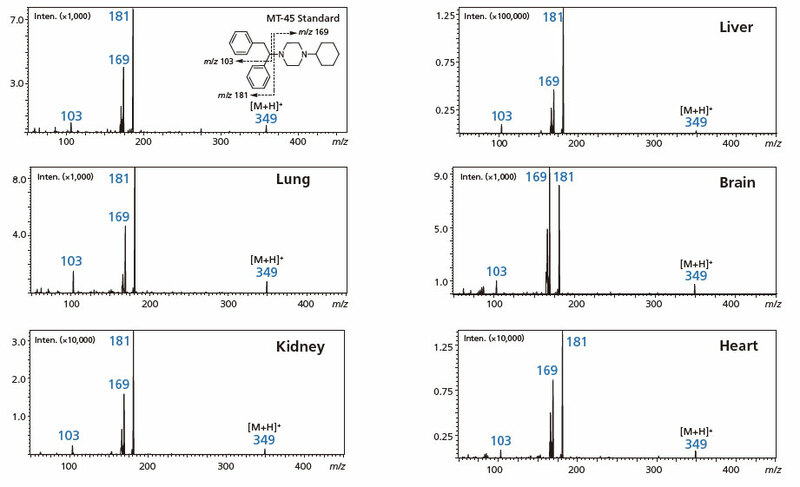 Metabolomes can be analyzed easily by customizing some of the analytical conditions in the LCMS primary metabolite method package. The DPiMS-8060 system was used to measure the principal components in the model mouse group with acute liver damage induced by carbon tetrachloride and the control group. 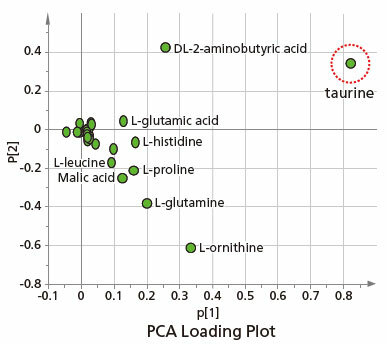 A significant difference was observed between model and control groups (given p < 0.001 for Welch's t-test), based on the significant contribution of taurine to the separation of groups in the PCA loading plot. The difference was verified with a box-whisker plot. This data was obtained from joint research with Associate Professor Kei Zaitsu from Nagoya University Graduate School of Medicine. PESI MS Solution software is used to control the probe, edit MS method files, and start measurements. Scan range and SIM settings are specified via the method editing window in LabSolutions™ LCMS software. Analysis can be started easily by selecting the probe control mode and MS method in PESI MS Solution. During analysis, the status can be confirmed in the LabSolutions LCMS window. The DPiMS-8060 system uses a direct analysis method that does not involve liquid chromatography using probe electrospray ionization. MRM parameters can be specified based on transition information included in the LC/MS/MS method package. Consequently, methods can be created easily using an Excel template. A key feature of PESI is the easy process flow from pretreatment to measurement. 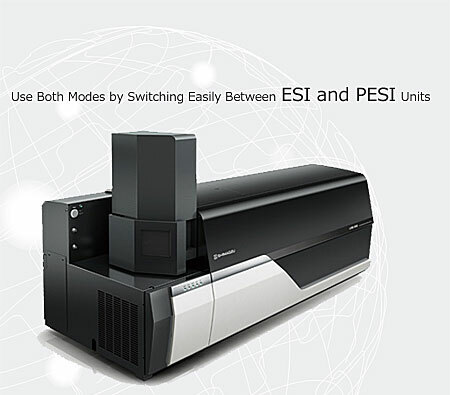 For more detailed analysis, the ionization unit can be replaced with the ESI unit for measurements as an LC/MS/MS system. 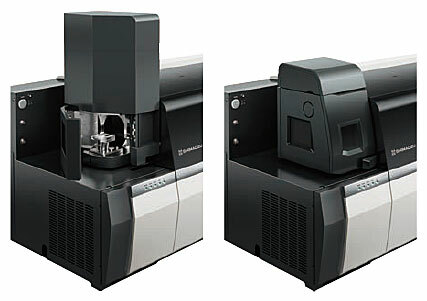 The system can be used for a wide variety of applications, such as for library searches based on mass spectra obtained from product ion scans, for quantitative analysis based on ion chromatograms obtained from MRM, or for multivariate analysis using scan data. 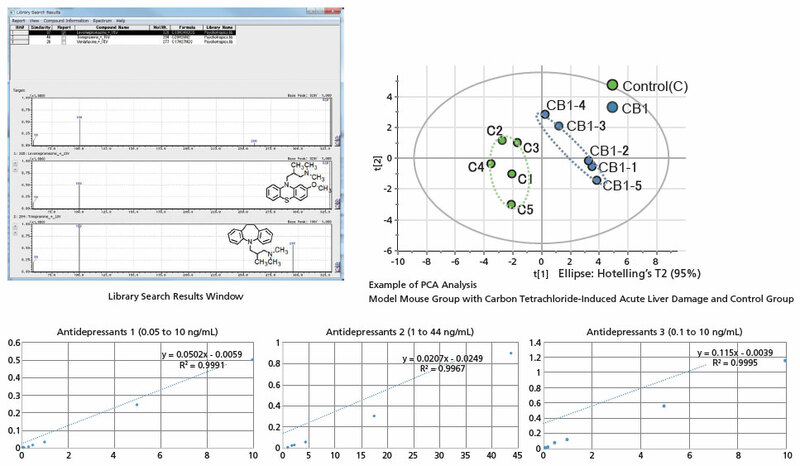 Because the postrun analysis functionality in LabSolutions LCMS is used, data can also be easily compared to LC/MS/MS data. Only a tiny amount of sample attaches to the probe during each sampling, reducing the risk of contamination inside the mass spectrometer to near zero. Carryover can even be prevented by changing probes. Even concentrated samples or samples of unknown concentration can be measured directly without pretreatment.